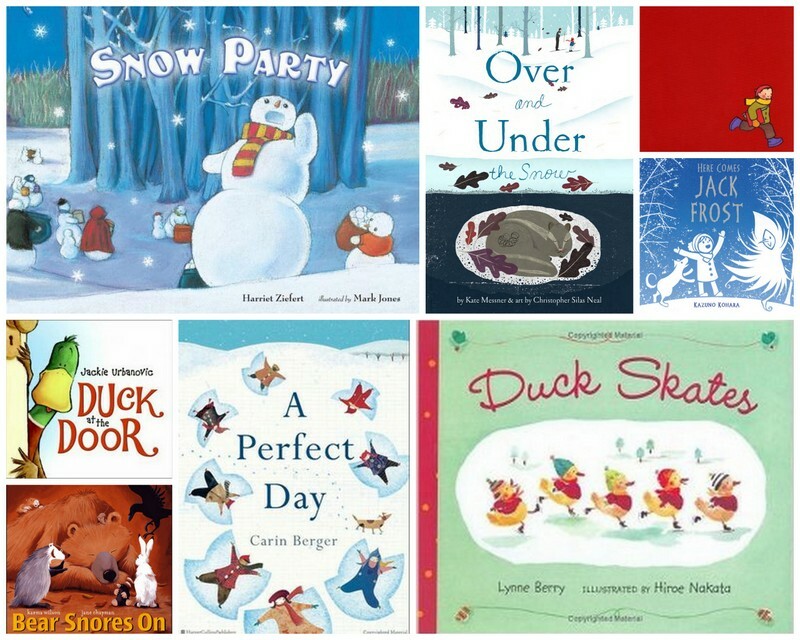 In pre-k we’ve read Bear Snores On by Karma Wilson, A Perfect Day by Carin Berger, Snow Party by Harriet Ziefert, and Duck Skates by Berry Lynne. In kindergarten we’ve read The Red Book by Barbara Lehman, Duck at the Door by Jackie Urbanovic, Here Comes Jack Frost by Kazuno Kohara, and Over and Under the Snow by Kate Messner. Some of these are old favorites I used to read all the time, and some of them are new additions to my read aloud rotation. But I really liked all of them, especially the Kate Messner, Kazuno Kohara, and Carin Berger books. Winter stories are the best seasonal stories to read with tiny humans, in my opinion.